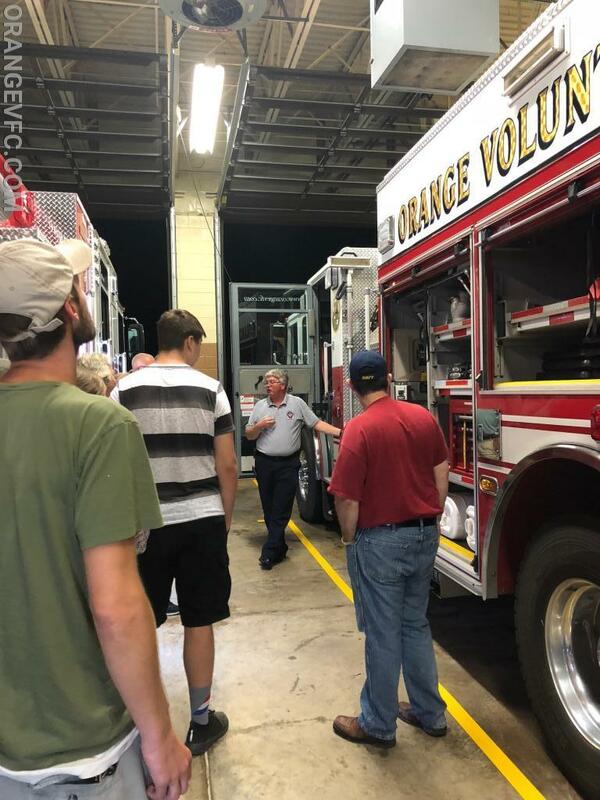 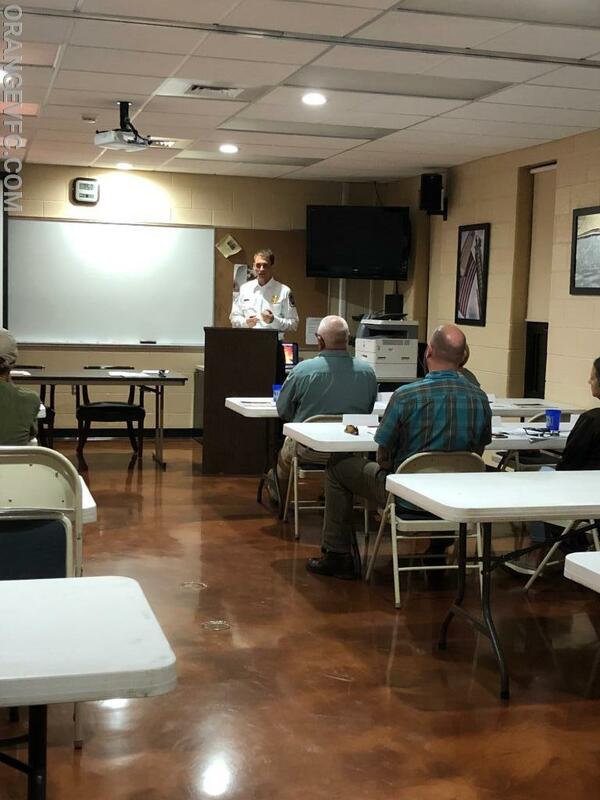 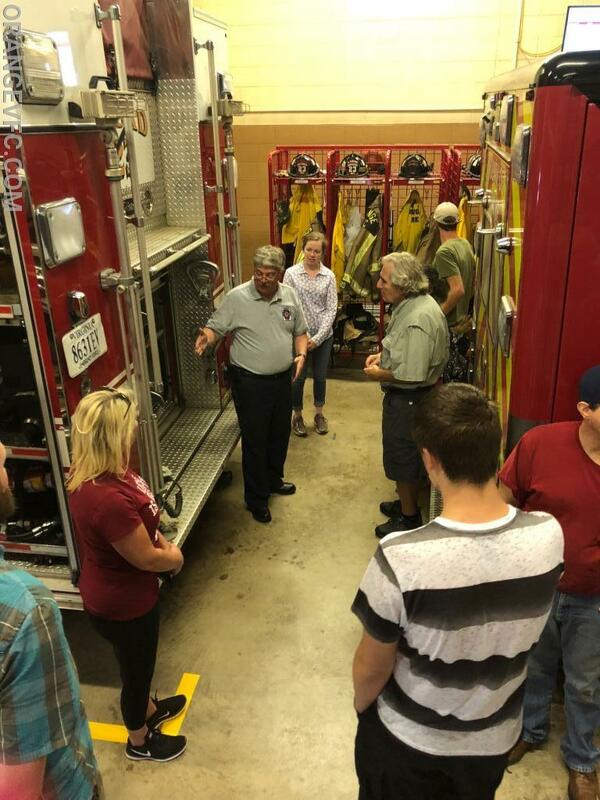 Last night the Orange Volunteer Fire Company began their 2nd Annual Citizens Fire Academy. 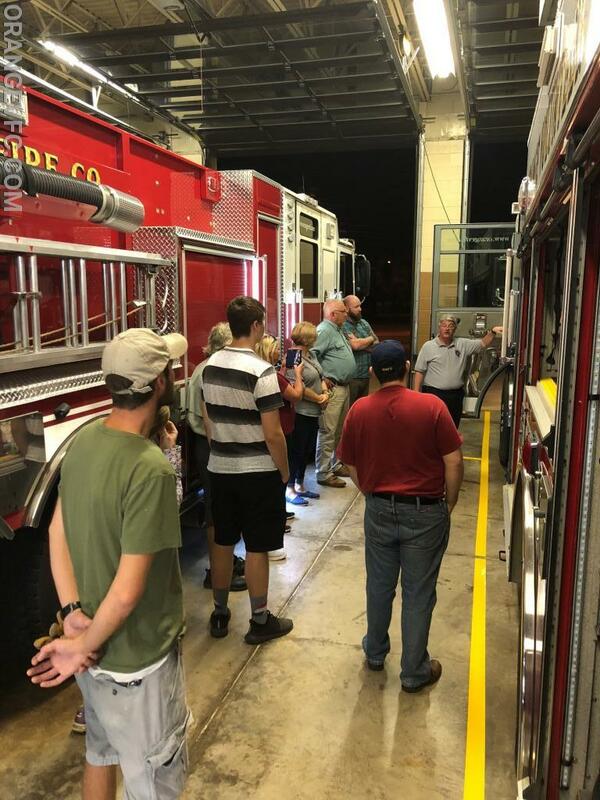 The first night was dedicated to introducing the citizens to the various emergency response functions the county provides. 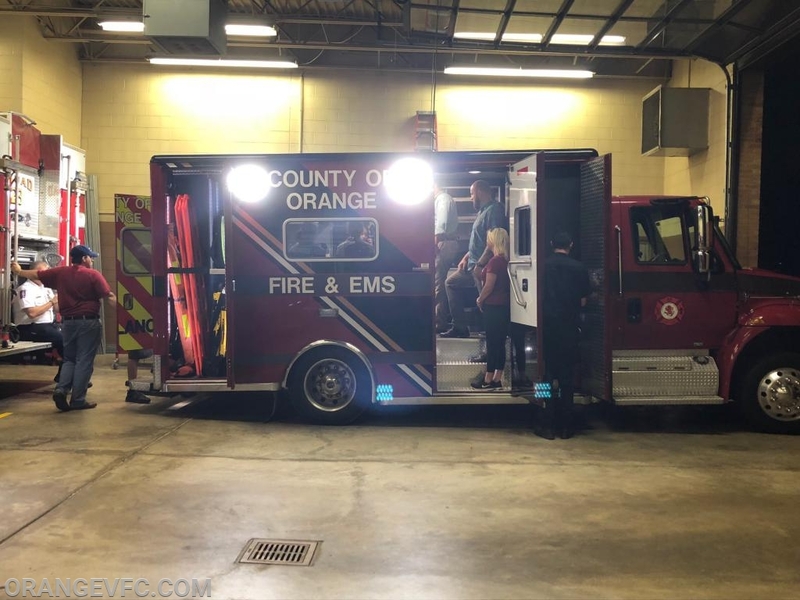 Angela Bragg, from the Orange County Communications Center, gave an overview of 911, Smart911, and RaveAlert. 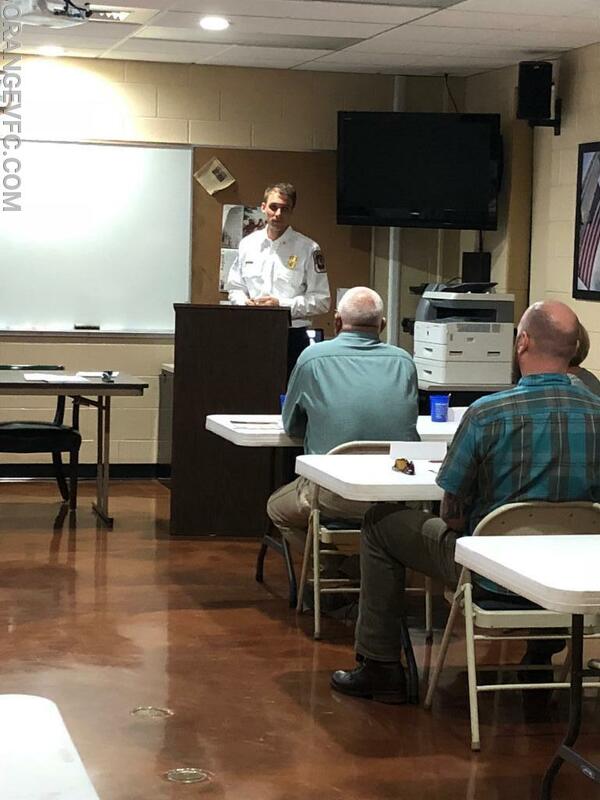 Chief Nathan Mort of County of Orange Fire & EMS, spoke about their duties and their role with EMS. 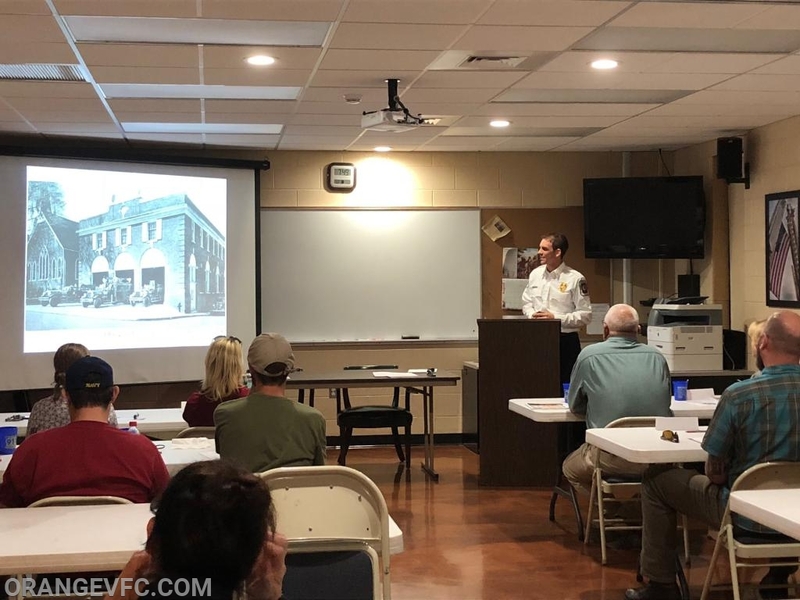 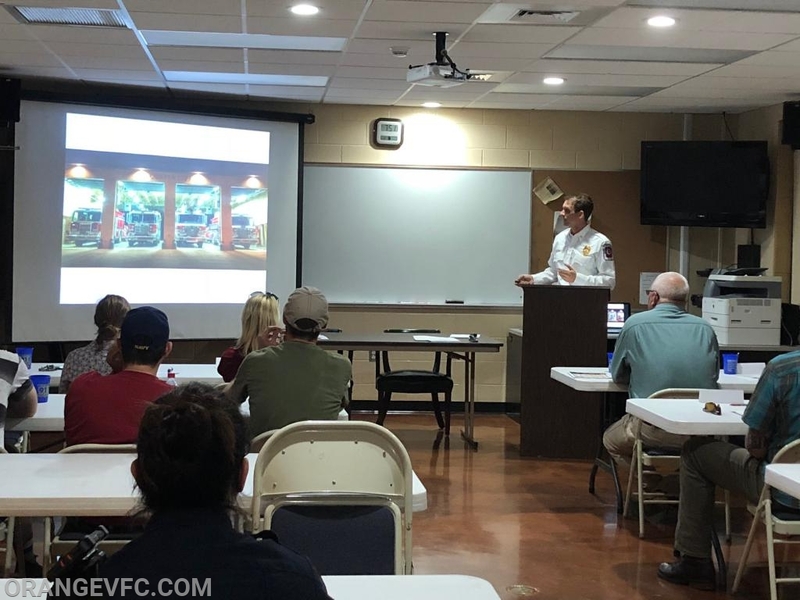 Chief Whit Jacobs of the Orange Volunteer Fire Company, discussed the history of the fire service, about the Orange Volunteer Fire Company and their role in the past as well as our role currently. 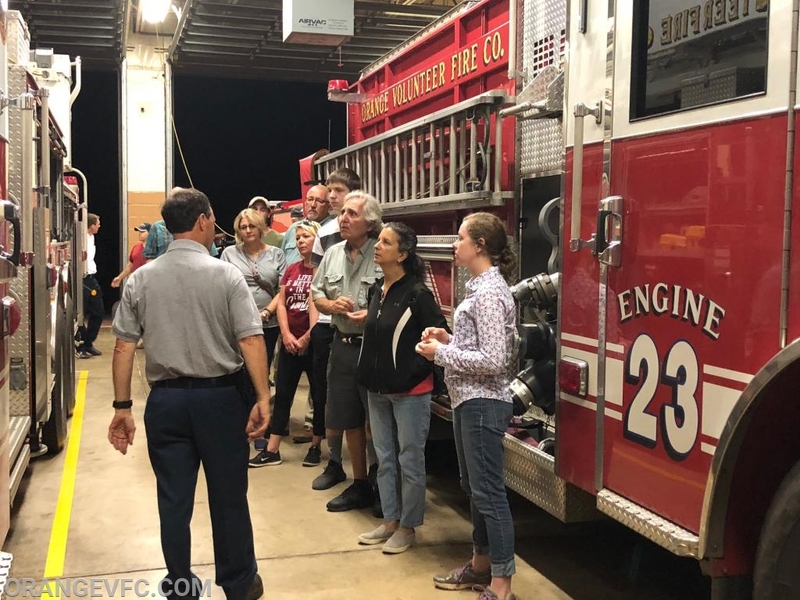 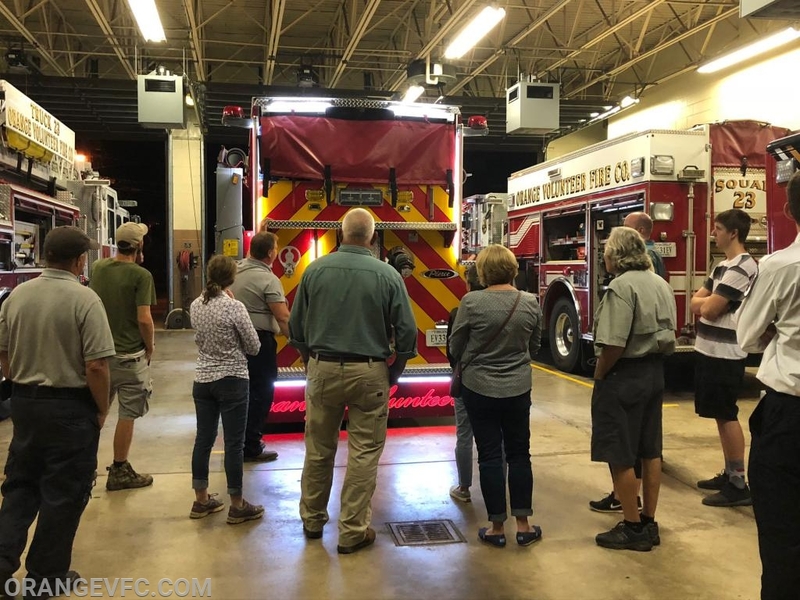 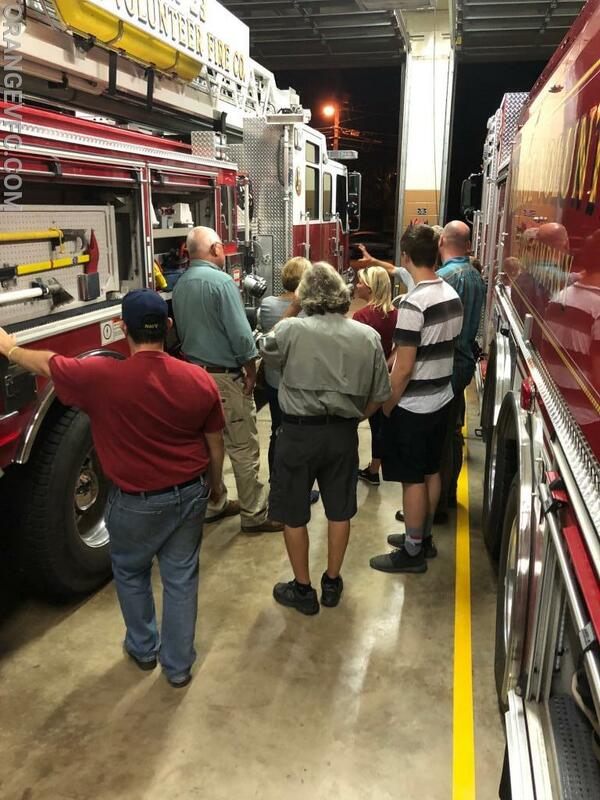 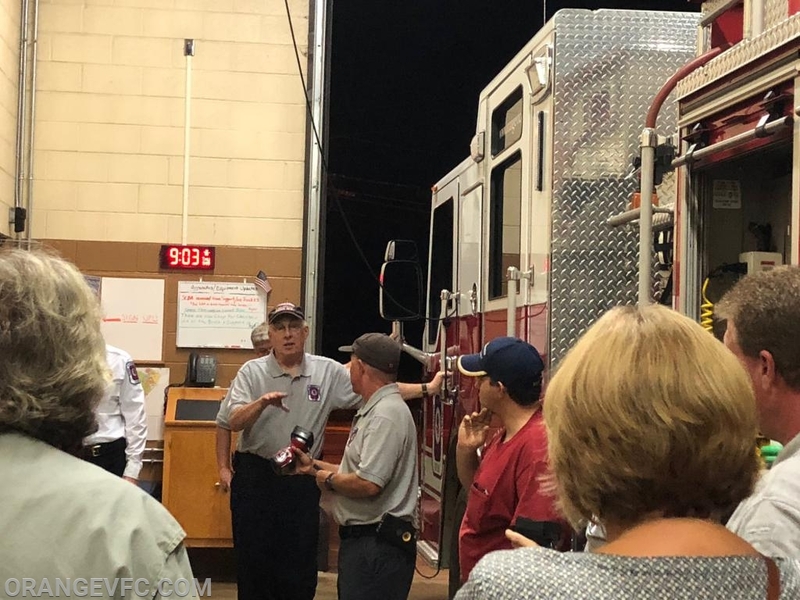 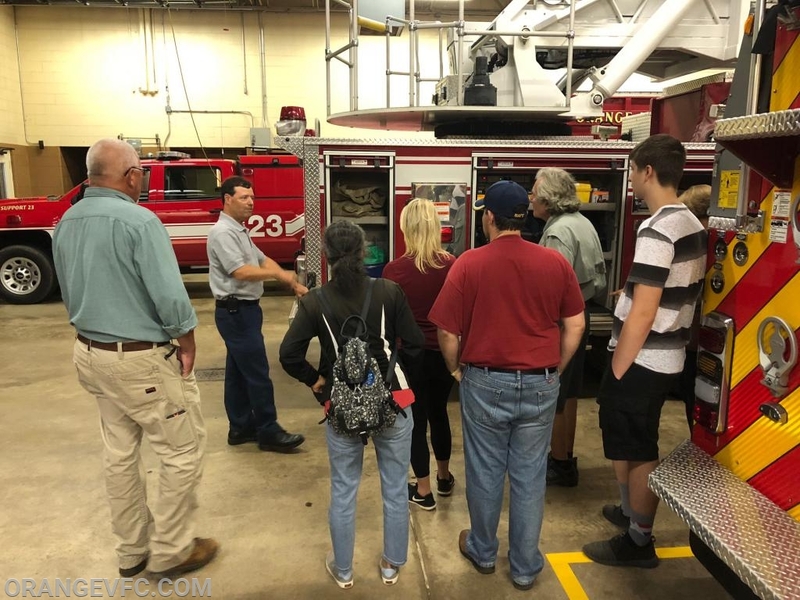 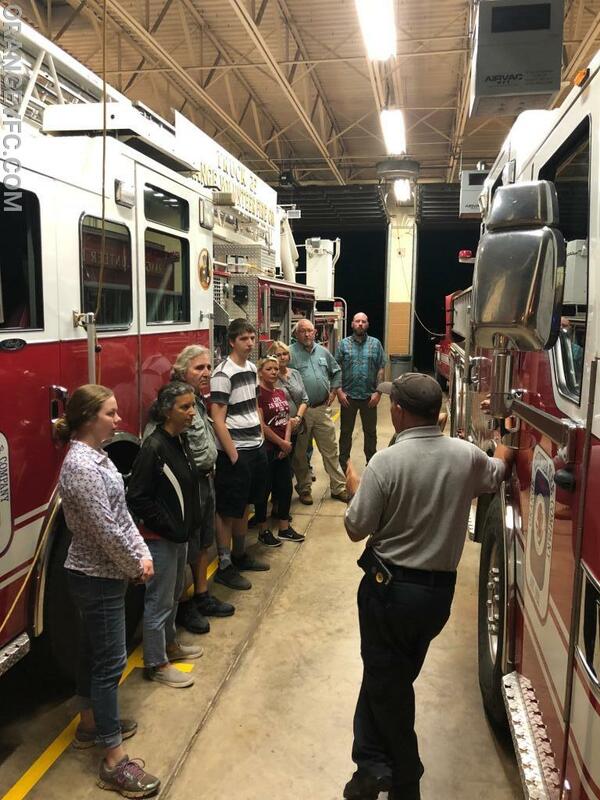 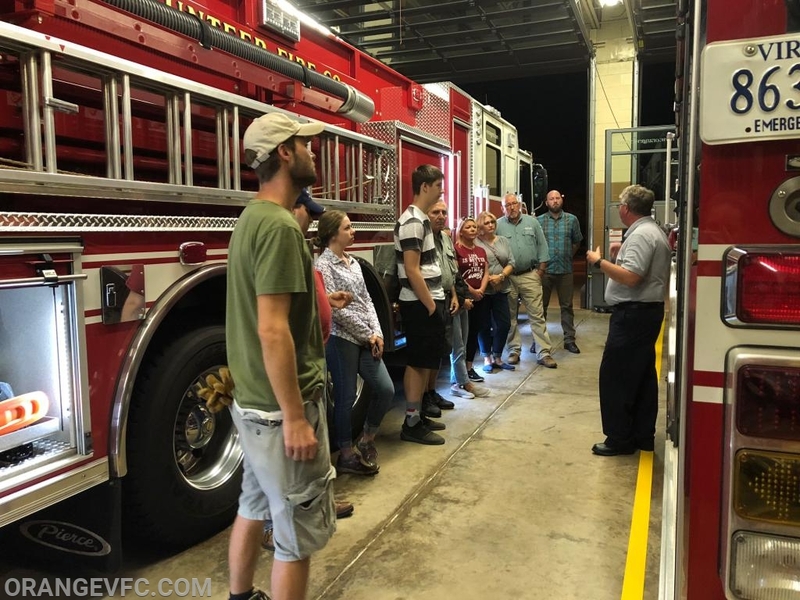 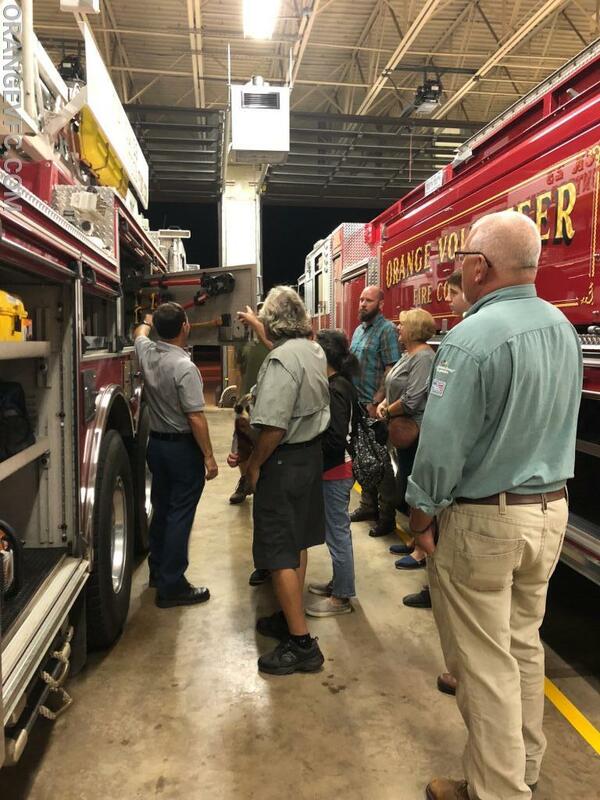 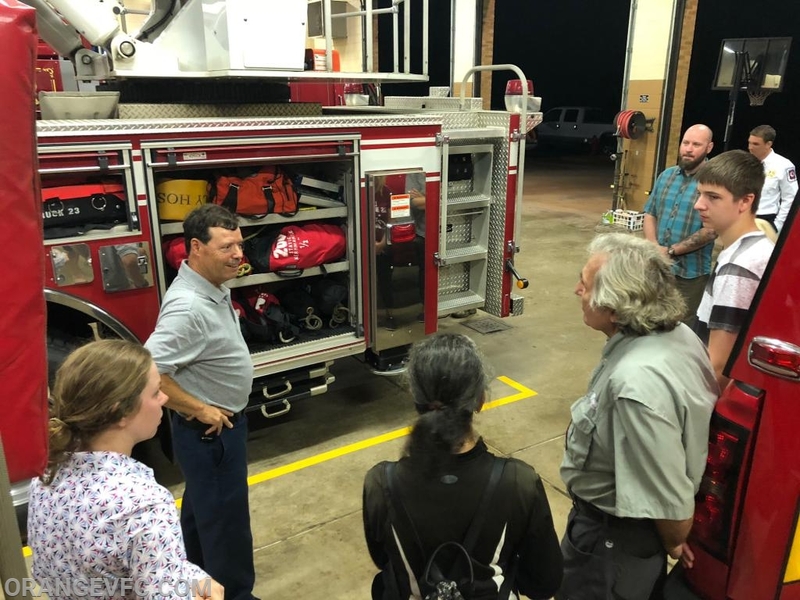 After the introduction, citizens went out and were able to get an up close look and description of the medic unit and all of the fire apparatus in the station. 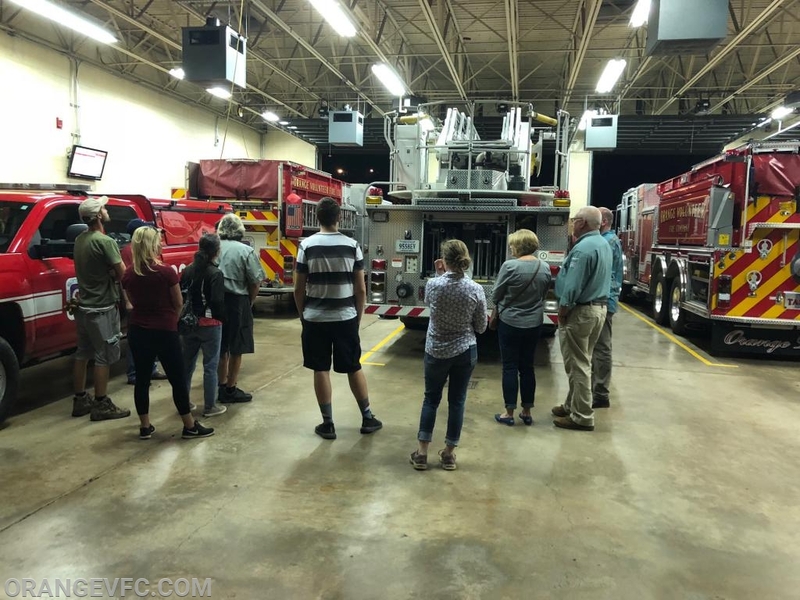 Members of OVFC and COFEMS spoke to the citizens and explained the apparatus and various tools and equipment that are carried.